The top provider of payment processing equipment for the gaming industry, Global Cash Access, will be changing it company name, logo, and even their stock exchange sticker. After purchasing slot machine manufacturer Multimedia Games for $1.2 billion last year, we all knew they would be heading in a new direction. The Las Vegas company will be targeting more actual casino equipment, as well as their own payment equipment as well, and they will present their new company at the Global Gaming Expo in September. The reason this buy-out was so important and such a big step for GCA is a very good tactic to expand their own business model. 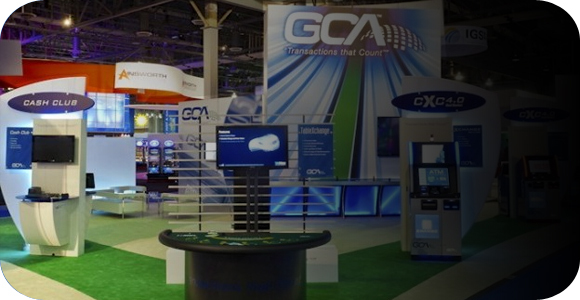 GCA is licensed and is able to operate in more jurisdictions with their payment processing equipment like ATM’s, point of sale, and debit card transaction devices than Multimedia Games. This will allow GCA to manufacture slot machines and deliver them in a much wider range, which is great for the company as they already have ties with many casinos. It won’t be easy, as the slots market is tough, and GCA will be facing giants like Scientific Games Corp. and International Game Technology, as well as others like Aristocrat Technologies, Konami Gaming and Ainsworth Technologies. The expansion will be great for slots players, as they will have a much wider range to pick from, unless casinos decide to give one company or another exclusive rights, which does not seem plausible. Let’s wait and see what they have to unveil in September.